These premium properties in Park Cities and Vicinity were listed for lease as of April 20, 2019. Click on the address for more information on each, including photos and a map of its location. ° Cute cottage style home in central Dallas. Kitchen and bathroom renovations were just completed with new cabinetry, sinks, faucets, dishwasher and quartz counter tops. Nice sized fenced yard is great for pets. Located between Highland Park and Love Field Airport. ° Welcome to a cozy two bedroom property located right next to Inwood Village where there is no shortage of entertainment. Great location for commuting, only minutes away from Downtown,Uptown and Dallas Love Field. As you walk inside you'll enter into a spacious living area which flows into your dining area and galley kitchen. Both bedrooms are spacious, include ample closet space and home has a backyard that makes it a breeze for entertaining friends. ° HPISD cottage across the street from Snider Plaza, one block from University Park Elementary school and walking distance to SMU is completely fenced in both front and back yards. This is a fun, lushly landscaped and a just a little bit funky home with 2 huge bedrooms, spacious living and dining rooms with pretty fireplace and lots of possibilities for making this home your own unique creation. ° Great location in the sought after Park Cities! Original 1938 cottage with updated kitchen, hardwoods, laundry room, and a master suite with a huge closet! Carpet and washer and dryer recently replaced. Two level deck with gorgeous backyard that includes a fenced dog run with doggy door access from laundry room. Parking space behind the house and a circular drive out front. ° Additional Info: Pets allowed limit 1, unfurnished, available 5/1, 0 covered parking space(s), 1 fireplace(s), Highland Park ISD. ° Location, Location!! Quiet Street Just Minutes to the DNT, Love Field and Easy Access to Downtown Dallas! Three Bedroom, One Bath Home on Corner Lot. Large Living Room and Bedrooms with Hardwood Floors. Third Bedroom Split - Off Utility Room. Double Closets in 2 Bedrooms. Refrigerator Stays. Large Parking Pad Inside Fenced Backyard. Large Storage Room for Use on Left at Rear of Backyard. ° Additional Info: Pets allowed limit 1, unfurnished, onsite W/D connections, available now, 0 covered parking space(s), Dallas ISD. ° Additional Info: Pets allowed limit 1, unfurnished, 0 covered parking space(s), Dallas ISD. ° Additional Info: Pets allowed limit 2, unfurnished, W/D connections incl., available 5/1, 2 covered parking space(s), Dallas ISD. ° This charming home located in Bluffview provides a comfortable lifestyle in the heart of Dallas. Now you can enjoy the outside while sitting in the comforts of sun room or game room. The eight-foot-tall wooden fence provides wonderful place to relax, play and keep your pet happy. Excellent topography with many large mature trees. Enjoy all this comfort in one of Dallas's premier neighborhoods. This property is surrounded by multimillion-dollar homes. Hardwood floors throughout, granite and stainless appliances, ceiling fans, full size stack w-d, travertine floors, 2 car garage. ° Additional Info: Pets allowed limit 1, unfurnished, available 6/1, 2 covered parking space(s), Dallas ISD. ° 3 bedroom, 2 bath, one floor, Hardwood floors, HPISD schools, Pets case by case( must be approved by Owner) Tenants must water the lawn. ° Additional Info: Pets allowed, unfurnished, 0 covered parking space(s), Highland Park ISD. ° Updates & Upgrades Make this Your First Choice-Inwood Village-Bird Streets. Like a fine wine in the Bird Streets offering updates & upgrades throughout! Over 2400 sf, 3 bd AND 3 ba, puts this one at the top of your list! Your Chef's delight kitchen comes fully equipped with SS appliances plus double door refrigerator. Tankless water heater, dark wood flooring, huge walk-in closets with built-in's and ceramic tile in the wet areas are just a few of the fabulous features. City conveniences surround you - SMU, Love Field, Oak Lawn, Uptown and Inwood Village is just a stones throw away! Don't forget your furry friend and the TEXAS size deck in the backyard perfect for Sunday BBQ! Come home to Wateka Drive! ° Additional Info: Pets allowed, unfurnished, W/D connections incl., available 5/10, 2 covered parking space(s), 1 fireplace(s), Dallas ISD. ° Stunningly upgraded home in sought after North Dallas neighborhood of Greenway Crest. Re done floors throughout. Neutral paint colors, upgraded fixtures, brand new stainless steel refrigerator, new sod throughout backyard, sprinkler system. Minutes from restaurants,shopping,nightlife and highways. WELCOME HOME!! ° Available the first of February. Darling three bedroom and two bathroom home with high end finish out and new carpet. This is in a fantastic location on oversized lot. Walking distance to Hyer Elementary, restaurants, shops and Preston Center. The hardwoods are beautiful throughout the house. Both bathrooms are updated with granite and stone. The kitchen is updated and very nice. Huge utility room and very large fenced backyard and separate dog run. This is a great house. ° Listing Agent: Ashley Rupp, Allie Beth Allman & Assoc. ° Cool contemporary home in Highland Park! Light and Bright! Kitchen with granite counters, glass backsplash, bar seating. Master has walk-in closets, bath w granite counters. Hardwoods throughout plus new carpet in master. Downstairs laundry room includes W&D. Beautiful sparkling pool with large shade trees, spacious storage room. Great central location, walk to Whole Foods, feeds to Bradfield Elementary. ° Additional Info: Pets allowed, unfurnished, available now, 0 covered parking space(s), 1 fireplace(s), Highland Park ISD. ° Listing Agent: Christine Mckenny, Allie Beth Allman & Assoc. ° Stately and charming Greenway Parks home. This home boasts expansive living areas, a gourmet kitchen wtih high end appliances, formal dining, large den with fireplace, and hardwoods throughout upstairs and downstairs. Master bedroom is down and features a spa-like master bath. Fenced backyard with storage shed! ° Charming 3-2 cottage in a convenient University Park location. Hard wood flooring throughout. Living room has higher ceilings and fireplace with handsome stone mantle. Formal dining and living rooms, plus another living area open to kitchen. Kitchen has granite counters and stainless appliances. Hyer Elementary. and convenient to HPHS Shops, dining and every convenience within walking distance plus only a couple of blocks to the Tollway. ° Additional Info: Pets allowed limit 1, unfurnished, available 5/1, 1 covered parking space(s), 1 fireplace(s), Highland Park ISD. ° Adorable, updated UP Home with 3 bedrooms, 2 bathrooms, 2 living areas, a separate dining area and a LARGE landscaped lot! The kitchen has Viking & Thermador appliances, a butler pantry, and a built-in booth. The generous master bedroom overlooks the vast, grassy backyard. The master bathroom has a wall of built-in cabinets, separate sinks, a garden tub & separate shower. The oversized garage, with rear entry, has an extra room above, equipped with a small kitchen, bath with shower, and lots of storage. Other amenities include a WB FP, floored attic (stairway access), alarm system, rare parking area in front (space for 3 cars). ° Additional Info: Pets allowed, unfurnished, onsite W/D connections, 2 covered parking space(s), 1 fireplace(s), Highland Park ISD. ° Charming Devonshire cottage with spacious bedrooms, master retreat complete with sep. shower and 6 foot soaker tub, steam shower, double vanity, huge closets in all bedrooms. Large kitchen with vaulted ceilings and skylights. Oversize two car garage w storage and backyard complete with a covered outdoor living area and Master Spa hot tub, landscaping, tv and spkrs. Fresh paint, refinished floors, and new front windows. ° Additional Info: Pets allowed limit 2, unfurnished, onsite W/D connections, available now, 2 covered parking space(s), 2 fireplace(s), Dallas ISD. ° Charming, updated 3 bedroom with large yard. Treed lot, updated kitchen, play area or office upstairs, bed and bath up. Study or sun room opens to back yard. Garage has been converted to storage with carport in front. ° Additional Info: Pets allowed, unfurnished, W/D connections incl., available now, 1 covered parking space(s), 1 fireplace(s), Highland Park ISD. ° Pretty treed lot on peaceful corner. Great family home that has been beautifully maintained. Open floor plan with hardwoods throughout; Living-study has paneling & gas FP; abundant built-ins; Open kitchen with granite island and breakfast counters, stainless gas stove, double oven & microwave. Oversized Master has 2 walk-in closets, sitting area, and balcony. Each secondary bedroom has en suite bath. 700 sft Trex deck and large fenced back yard. Perfect location with easy walk to Snider Plaza, SMU, Bush Library and Katy Trail. W-D included! ° Additional Info: Pets allowed limit 2, unfurnished, W/D connections incl., available 6/21, 2 covered parking space(s), 2 fireplace(s), Highland Park ISD. ° Listing Agent: Lillie Young, Allie Beth Allman & Assoc. ° Lease with the option to buy, This new Modern open floor plan has 4 bedrooms with TWO MASTER SUITES, one master downstairs and one upstairs, 2 covered patios, upstairs features 3 bedrooms with a balcony off the master, loft, study, spacious covered patio and large back yard with an eight foot fence. 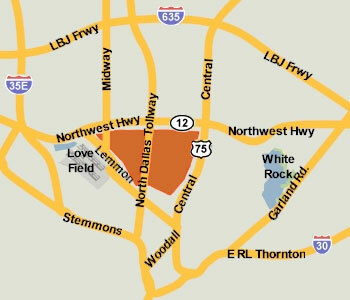 Location near love field, Inwood Village and tollway. Seller is motivated bring all offers. ° Amazing property steeped in contemporary beauty, modern elegance and green living. Custom built in 2013, and perfectly located in the midst of everything, this house is open, bright, private and secure. Sleek, stainless steel kitchen with loads of storage, five star resort master suite, luxury saltwater pool, electric car charging station, solar electricity, tankless hot water heater - the amenities go on and on. This is one to be seen to get the full experience and impact! ° UPTOWN COMES TO THE PARK CITIES WITH A LARGE REMODELED TOWNHOME FEATURING A GRAND ENTRY THRU IRON DOORS A SPACIOUS TWO STORY HOME WITH A MIRRORED LIVING ROOM, FIRE & ICE FIREPLACE, AND A DESIGNED FOR ENTERTAINING NEW ORLEANS STYLE COURTYARD WITHG ARTIFICAL GRASS, THE GOURMET KITCHEN FEATURES VIKING APPLS, GRANITE COUNTERTOPS, MIRRORED BACKSPLASH, WINE REFRIG, LARGE MASTER WITH FIREPLACE, MIRRORED WALLS IN MASTER BATH AND GRANITE ENCASED JETTED-SPA TUB, UPSTAIRS WETBAR, WITH VIKING ICEMAKER & REFRIGERATOR. UPSTAIRS HAS A LARGE OPEN MULTI-FUNCTIONAL LIVING AREA BETWEEN THE OTHER 3 BEDROOMS, LOTS STORAGE ON THE 3RD LEVEL. ° Additional Info: Pets allowed limit 1, unfurnished, W/D connections incl., available 5/1, 2 covered parking space(s), 2 fireplace(s), Highland Park ISD. ° Stunning home for lease in Highland Park ISD! Gleaming wood floors, plantation shutters, spacious living room with gas fireplace and a dining area with built-in cabinets are only the beginning of what you'll find in this gorgeous home. Chef's kitchen features marble countertops, stainless steel appliances, double ovens, gas cooktop & fridge. There is an oversized, downstairs bedroom with wood floors & a study that leads out to a side courtyard. Upstairs features a master suite with access to the backyard balcony. Two more guest rooms upstairs with a Jack-n-Jill bath. Accessed by a separate staircase at the back of the house, there is also a huge living area with a fireplace & half bath. Great location! No Pets. ° Additional Info: No pets allowed, unfurnished, onsite W/D connections, available now, 2 covered parking space(s), 2 fireplace(s), Highland Park ISD. ° Charming 2 story English style cottage built in 1926.Hardwood floors down.Formal dining, formal living with WBFP. Sun-room off of Den that can be used as an office. Large kitchen with granite counter tops and stainless steel package. Master downstairs. Home has tall cove ceilings and lots of windows make it light and bright. 2-car garage detached with alley entrance. Great block with lots of trees and a large backyard. ° Additional Info: Pets allowed limit 1, unfurnished, no W/D connections, available 5/1, 2 covered parking space(s), 1 fireplace(s), Highland Park ISD. ° Listing Agent: Ashley Rasmussen, Allie Beth Allman & Assoc. ° Fantastic lease opportunity in Bradfield Elementary. This charming home offers 4 bedrooms, 3 baths, generous living and dining rooms as well as an island kitchen and sunny breakfast room. 2 of the bedrooms are downstairs. Wonderful yard on a fabulous Highland Park French street. Immediate availability. On an 80x139 irregular lot. ° This University Park home as space for everyone in its 4 bedrooms and 3 and a half bathrooms with an apartment above the garage for the inlaws or your home office. The two story entry around the central stairwell along with the tall ceilings and an abundance of natural light provide a smooth and peaceful ambiance that is a joy to embrace. Two fireplaces, granite counter tops and hardwoods throughout. ° Additional Info: Pets allowed limit 1, unfurnished, available now, 2 covered parking space(s), 2 fireplace(s), Highland Park ISD. ° Additional Info: Pets allowed, unfurnished, W/D connections incl., available 5/11, 2 covered parking space(s), 2 fireplace(s), Highland Park ISD. ° CHARMING, move-in ready single family home walking distance to Highland Park Village. Original hardwood floors, arches throughout and a 2nd-floor fireplace maintain this tudor's character. The 3,318 sf consist of two large living areas, separate dining, open-concept kitchen with a breakfast bar, 1 bedroom and 2.5 baths downstairs, and 2 bedrooms + master, sitting area and 2 full baths upstairs. The spacious master bedroom features walls of windows, a huge master closet, ample storage cabinets, free-standing tub, double-sink vanity and large shower. The large backyard is fully fenced. Pets will be considered on size and breed. Schedule a private showing of this fabulous home with the owner. ° Additional Info: Pets allowed, unfurnished, onsite W/D connections, 2 covered parking space(s), 2 fireplace(s), Highland Park ISD. ° Built in 2008, this beautiful single family attached home features a formal living room that could double as a study, formal dining, open kitchen-family room with fireplace, mud room and covered patio on the first floor. 2nd floor hosts the master suite with a private study or exercise room, 3 bedrooms and utility. 3rd floor game room has a full bath and could be used as a 5th bedroom. Attached rear entry 2 car garage provides secure parking. ° Additional Info: Pets allowed, unfurnished, 2 covered parking space(s), 2 fireplace(s), Highland Park ISD. ° Additional Info: Pets allowed limit 2, unfurnished, W/D connections incl., available now, 2 covered parking space(s), 3 fireplace(s), Highland Park ISD. ° Beautiful, classic and updated 4 bedrooms, 3 and one half baths, plus quarters with full bath over garage. Custom remodeled chef's kitchen, large laundry and mud room, updated baths, beautifully landscaped yard and outdoor living, detached oversized garage with work space and sink, electronic gate. Wonderful location to Germany Park, Highland Park Village, and great home. ° Additional Info: Pets allowed limit 2, unfurnished, W/D connections incl., 2 covered parking space(s), 2 fireplace(s), Highland Park ISD. ° Classic University Park home on a great block in Hyer. Gracious formals, large family room, bright kitchen and breakfast room, private study. Master bath recently updated. Beautiful landscape and landscape lighting. Walking distance to school, parks and shopping. Great Location! ° Additional Info: Pets allowed limit 2, unfurnished, 2 covered parking space(s), 2 fireplace(s), Highland Park ISD. ° 2001 Mediterranean Gage build with 4 beds on a 70 x 160 lot in Fairway one block from Caruth Park. Main level has spacious living room, kitchen, dining area and guest room. Master suite on second level with sitting area, large master bath and his and her closets. 2 additional guest bedrooms upstairs each en-suite baths. Backyard offers a resort like setting with 40 foot pool spa, outdoor living with kitchen and play yard. Great rental House in HPISD offering newer home amenities with hard to find pool and fantastic location. ° Additional Info: Pets allowed, unfurnished, available 5/6, 2 covered parking space(s), 1 fireplace(s), Highland Park ISD. ° Incredible Park Cities SFA with a nice back yard and just steps away from Middle school, SMU, Highland Park Village and Snider Plaza.Inside find beautiful hardwood floors; gorgeous kitchen open to greatroom w stainless appliances & granite counters; oversized bedrooms, fabulous master with huge walkin closet; 3rd flr playroom can double as bedroom w full bath and lg closet, separate diningroom and study. ° Additional Info: Pets allowed limit 1, unfurnished, available 6/10, 2 covered parking space(s), 1 fireplace(s), Highland Park ISD. ° Imagine a world that perfectly blends lifestyle, form, and function allowing you to enjoy the best that Dallas has to offer. Amazing new construction in University Park with clean modern lines and a floor plan that is perfect for entertaining without losing everyday function. Beautiful office off entry with classic vibes and flair. Kitchen with luxury appliances, built in fridge, and plenty of storage flows into living space with fireplace and that leads to covered patio. Bedroom downstairs generously sized with en suite bath. Master suite has attached balcony and master bath with separate vanities, stand alone tub, walk in shower, and huge master closet. Highland Park ISD and easy access to 75 and Downtown. ° Great opportunity to lease a home in the heart of the Park Cities near Lakeside Park, HP Swimming and the Katy Trail. Built in 1968, this 5 Bedroom, 3 Living Area, Texas Regionalist Contemporary Home boasts original charm with modern conveniences. Natural light fills this spacious L-shaped plan with multiple courtyards, walls of windows, skylights, stone tile and red wood trim. New kitchen with modern amenities added in 2016. New carpet & paint 2018. ° Additional Info: Pets allowed, unfurnished, W/D connections incl., available now, 3 covered parking space(s), 2 fireplace(s), Highland Park ISD. ° Listing Agent: Marcy Eller, Allie Beth Allman & Assoc. ° Luxury meets practical living with this custom Frank Blanchard home located steps away from Bradfield Elementary, Highland Park Village and DCC. Boasting with natural light and ample space, this beautiful home has room for the whole family! A generous eat-in kitchen houses commercial grade Wolf appliances, including a subzero refrigerator, 6 burner stove, double oven, warming drawer, dual sinks and dishwashers. All bedrooms have en-suite baths and walk-in closets, as well as his-and-her closets in the over-sized master suite. The utility and game room are conveniently located on the 2nd floor, and the 3rd floor flex space with en-suite bath can be used as a supplemental living space or media room! ° For Lease! This Charming Highland Park Home sits beautifully on Tree-Lined Street in Highly Desirable Neighborhood and is Walking Distance to SMU and HP High School. Open & Bright Interior offers 5,784 SF of Pure Luxury! 2 Staircases, Gorgeous Wood Adorned Study with Wet Bar, Fireplace in each of the 1st floor Living Areas, Wood Floors and Master Suite with Fireplace & Built-Ins. Large Gourmet Kitchen features a Professional Gas Cook-Top, Built in Fridge, Wine Fridge & Butler's Pantry. Cozy Breakfast Nook with Built-In Seating looks out to the Large Back Yard Area. Each of the 6 Bedrooms have their own Full Bath. Over-sized 6th Bedroom could be used as a Game Room or Music Room. 2nd Floor Recently Painted. ° Additional Info: Pets allowed, unfurnished, W/D connections incl., available now, 2 covered parking space(s), 3 fireplace(s), Highland Park ISD.